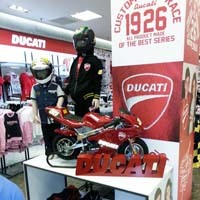 The Ducati Junior collection by Daddato, dedicated to young Ducati fans, makes its debut with the 2013 Spring/Summer season. 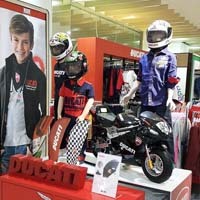 Born out of the collaboration between Ducati and Daddato, a leading company in the kids' clothing sector, Ducati Junior is a complete clothing line, characterised by its sporty but, at the same time, vintage feel, that recalls and interprets, in the graphics and textures of every single piece, the distinctive features of the brand. 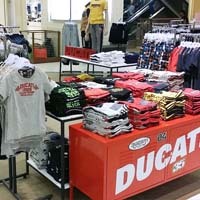 The number 26, the year in which Ducati was founded, is incorporated in small gros grain and passementerie details and underlines the Italian uniqueness of the motorcycle manufacturer. T-shirts, trousers and sweatshirts have been created with natural fabrics. Combining with the classic red, blue and milk cream are also fluorescent colours, used in a balanced way and in the detailing. 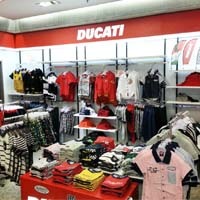 The more markedly urban collection, for a day look with decisively sporty accents. 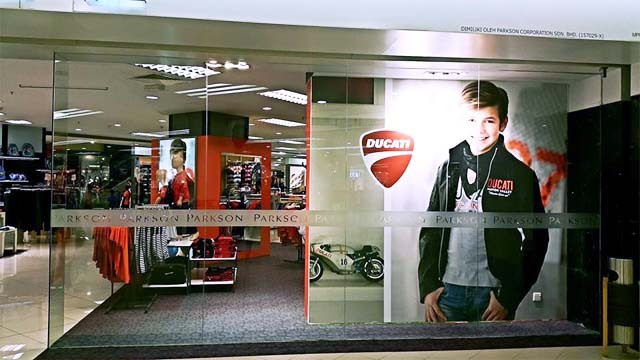 The collection includes passepartout pieces such as nylon jackets with zip closures, also in sleeveless and hooded versions, as well as sweatshirts with spacious front pockets, with or without hood, and a series of brightly coloured short-sleeved T-shirts in cotton jersey. 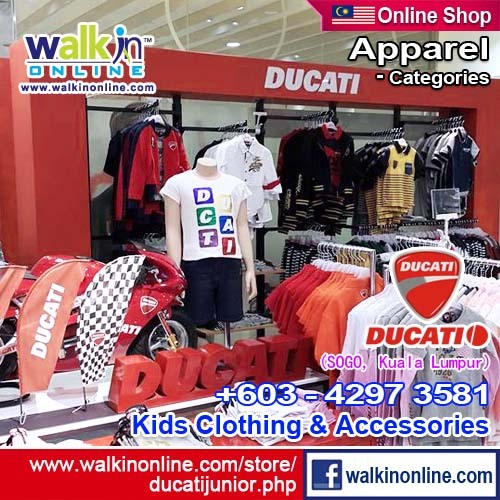 The collection also includes casual pieces such as long-sleeved polo shirts with a white collar, long- and short-sleeved popeline shirts, and cargo bermudas with side pockets in gabardine or in fleece with coulisse, dedicated to your freetime. More hard-wearing are the narrow-leg trousers with five pockets and turn-ups and the slim-fit long trousers, also in fleece, that are reminiscent of motorcycle pieces, with moulded knee and elastic at the bottom. 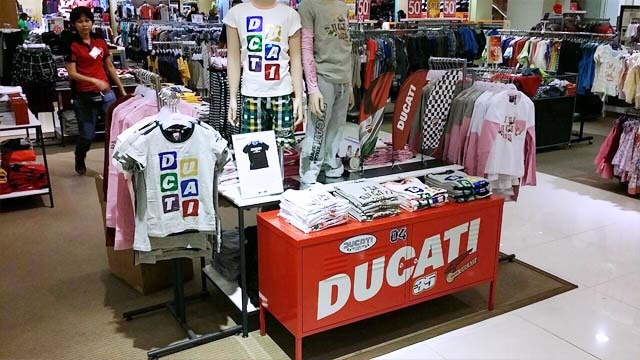 The Ducati brand is present in the graphics and as a signature of each piece, from the zip pull, to the buttons and knotted cords. The colours range from blue to grey to white, with touches of yellow, red, orange, green and bright blue. 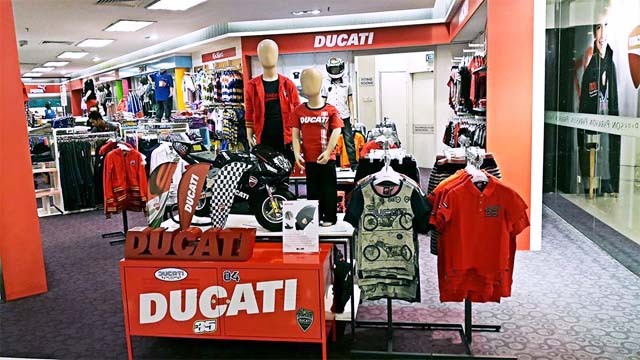 Even more sporty, the Ducati Heritage line is defined by two green, white and red bands repeated on each piece, a symbol of the Italian flag and the tricolour pride of the company. The collection includes sweatshirts with full zip closures, hooded sweatshirts, trousers in cotton fleece, short-sleeved polo shirts and T-shirts in jersey, all in blue, grey melange and white. In this line the cut is clearly more technical and linked to the sporting world. The brand is once again the protagonist, printed in bold characters, or more subtle when hidden under the collar of the polo shirts. 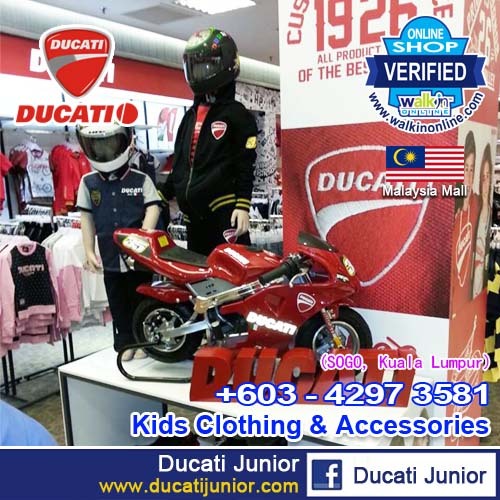 Each Ducati Heritage piece is also characterised by its logoed zip pulls, buttons and knotted cords; the attention to every detail is almost obsessive, the cuts give freedom of movement and the extremely high-quality materials are designed to provide comfort, stand up to the energy of sporty kids and be long-lasting.